The dates and venues for next season’s events are set. You can lock these into your own and your club’s calendars. There is a print friendly version of the event list which includes national and international events here. Online entries for these events are now open. Just click the Enter or Join tab and select the event. We are always looking out for good venues for these events so if your club would is interested to host a regatta in the future please let us know. 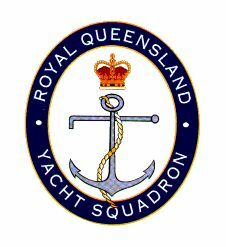 The South Pacific Masters event is coming on 12th to 15th July at Royal Queensland Yachts Squadron. This is a great winter event. The Notice of Race, which includes accommodation information, is linked in our Events Page and you can see it here. The NoR says that there is limited camping available on the RQYS site. We are assured by Kerry Waraker that this is still the case though you will need to book through the RQYS on 07 3396 8666. There are lots of accommodation options convenient to RQYS and there are some charter boats available for sailors who want to fly in and fly out for the four day event. 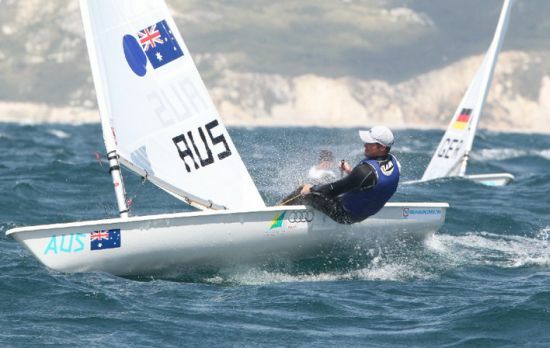 Winter sailing is on at Woollahra from 16th June to 4th August. Tom Burton holds his number one world ranking and won the Mussanah Race Week in Oman. 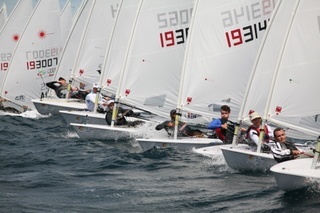 The event between 10-16 March was sailed in 8-10 knot breezes. Tom won by six points from Kiwi Andy Maloney with Paul Goodison third. You can see the results here and the final series wrap here. The latest edition of the quarterly ILCA publication Laser World is now available for viewing online or to download on the ILCA web site here. 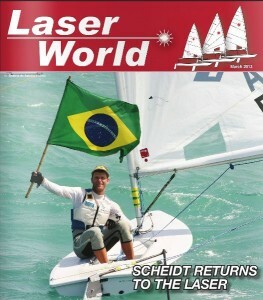 This issue features an interview with the great Brazilian Laser sailor Robert Scheidt. 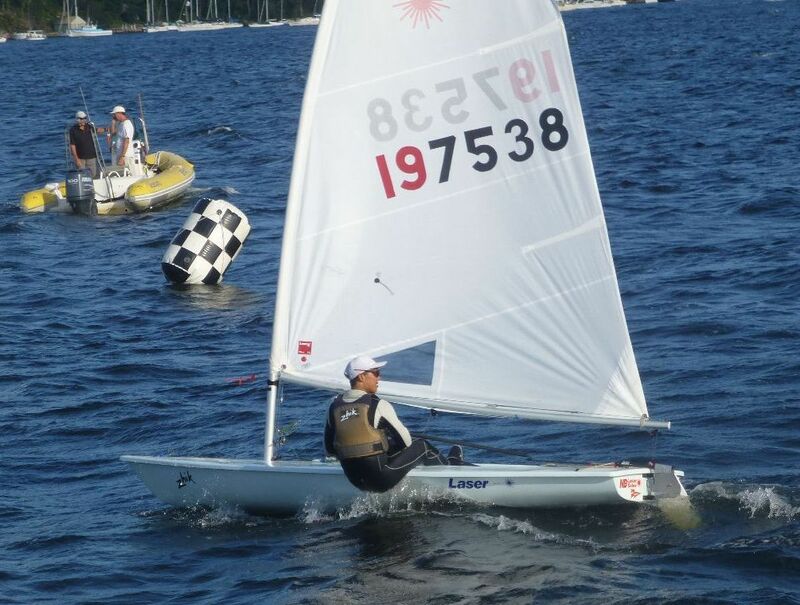 Also on the ILCA web site here is an update on the attempt by Bruce Kirby to resolve the long running (four year) dispute with European Laser builder LaserPerformance. If you are interested to know more about this dispute and the legal action instituted by Bruce Kirby to attempt to resolve it then Sail World has a useful summary here. Thanks to the great organisation at the Royal Prince Alfred Yacht Club and all who competed we had a terrific Metro Championship last weekend. The weather was kind with excellent breeze on Saturday and a bit less on Sunday to let us recover. Our PRO Col Chidgey and the start finish crew appreciated the luxury of the Afreds start boat and set a tough assignment with a couple of O3 and I3 courses and one hour long races on Saturday. 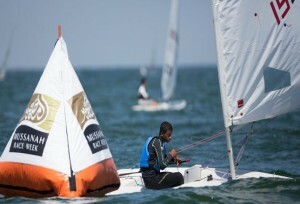 With just under 3 hours of race time most sailors had a good workout on the water and slept soundly on Saturday night. Congratulations to Colin Cheng (Standard pictured left), Christopher Anderson (Radial) and Finnian Alexander (4.7) for their convincing wins. Each had all firsts in the six race series after a drop and Colin and Finnian won every race. Dianne Sissingh braved an injury after being attacked by the boom vang the previous week. She sailed very well to win the Womens. Of the Masters Sean Feeney (Standard Master) and Martin White (Radial GM) did very well to finish second and third respectively in the open fleet. In the youth divisions Christopher Anderson naturally was best in the Radial and Colin Suvak who was 4th overall was best in the Standards. You can see all the results on the links below. There are photos taken by Warrick Crossman on the Dingy Fever Website here. There are a number of snaps taken around the course on both days which you can view on the links below.